There’s no better way to get a good look at a city than sitting in a rooftop bar, with the brightly lit urban sprawl at your feet. The best rooftop bars in the world are always chic, but the sometimes overpriced cocktails are a small price to pay for the amazing view! Bangkok, the Asian mecca of backpackers and budget travelers, has more than small bars on Khao San Road, and it doubles very well as a luxury destination for those with means. 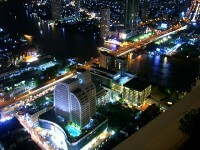 Sirocco is definitely not the kind of place where independent travelers usually congregate, but even if fancy bars are not your style the view is worth it. 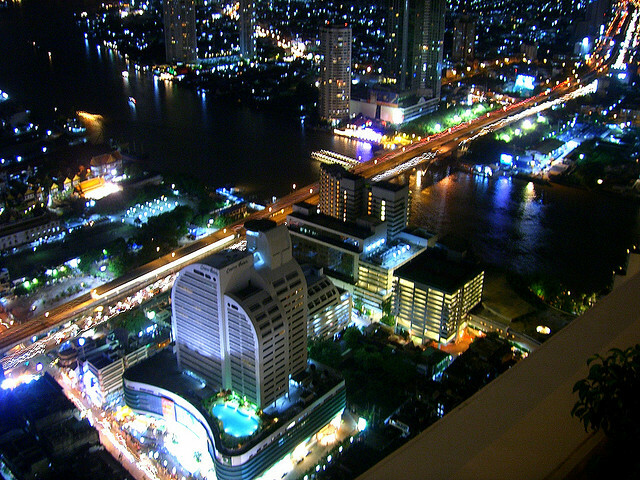 The bar is on the 64th floor of the State Tower on Silom Road, and it offers a stunning view of the sparkling city as far as eyes can see. Kuala Lumpur is the kind of city that’s begging for a bird’s eye view, especially at night when it turns on all of its neon glory. 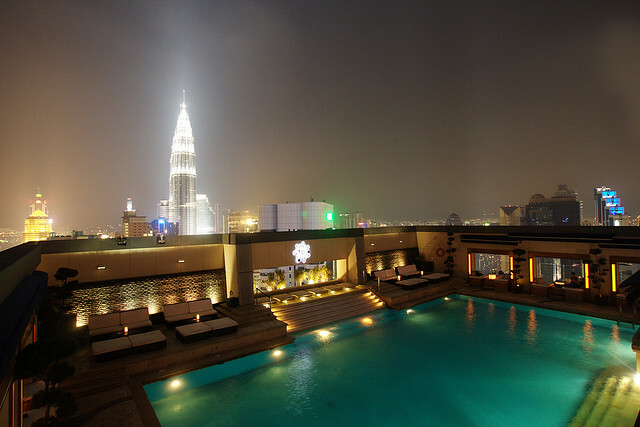 Luna Bar is a super chic skybar with dining in the early evening and partying later on. The cocktails and Italian cuisine on the menu are not cheap, but the view from the rooftop is absolutely stunning and a must-see for anyone visiting Kuala Lumpur! Dublin might not have the skyscrapers of other capital from around the world, but it’s skyline is nevertheless great, especially during the day. 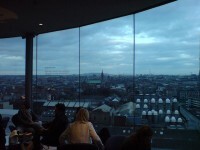 The best place to get a view of Dublin from above is Gravity, a swanky bar on top of the Guinness Storehouse, offering a 360 degree view of the city. Thankfully, the bar is indoors, so you won’t be exposed to the caprices of Irish weather. Las Vegas has its fair share of fancy bars as well as places with a view, but Moon is definitely one of the best if you are looking for a place to party like you’re in Vegas. This bar at the Palms hotel is really something special – tiles that change their color, curtains of sparkly glass beads and a huge retractable roof. See the lights of the strip while sipping a dainty cocktail surrounded by the young and beautiful of Vegas. Cosmopolitan Shanghai is an interesting mix of dazzling modern landmarks, traditional Chinese architecture, with a handful of European styles thrown into the mix, and predictably enough the view from above is stunning. The Captain Bar’s clientele is made up of a diverse mix of travelers, locals, and expats, and it has the best views of the Bund you can find anywhere.